The theme of the retreat was “Surrender” and it was based on my book, “I Am Hagar: Forgotten No More”. The retreat was held offsite at a Christian retreat center – great for camping during the summer or renting an upscale cottage anytime of the year. 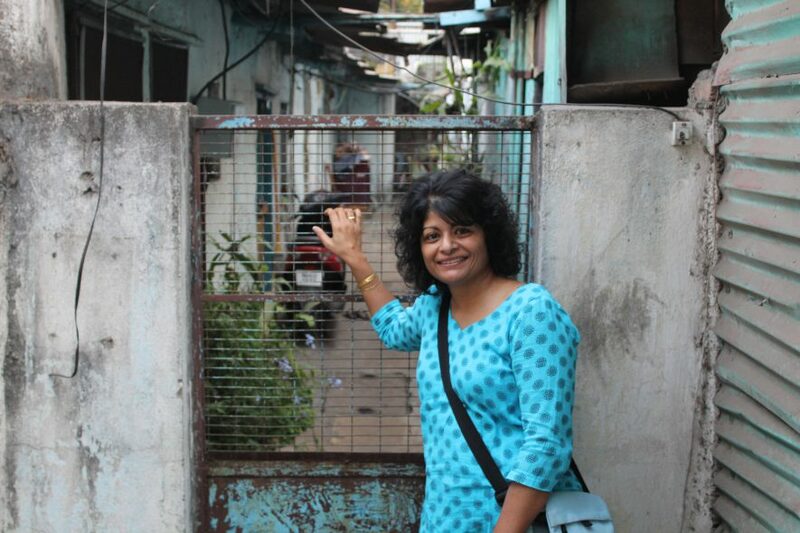 On this particular retreat we were set up in one of their beautiful cottages that made us feel right at home and provided most of us with the rest and relaxation we needed. Each cottage had its own special name. Happiness, Faith, Joy, Jubilee, just to name a few. However, there was one name that was disturbing and somewhat alarming to some of us. The name? “Amistad” – with the word “Friendship” below it. First of all, for those who may not know, “Amistad” was the name of a ship that transported slaves and was featured in the well known movie by the same name. On it the slaves endured horrible atrocities which have lingered in the memories and hearts of many African Americans as a painful reminder of what was done to their ancestors. 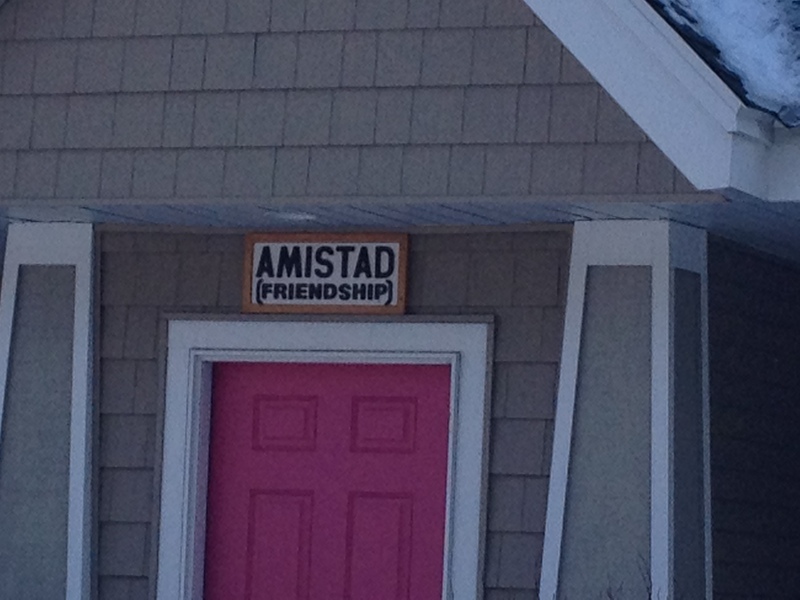 Below the nameplate at the “Amistad” cottage was the word “Friendship”. It was also the only sign that had an explanation word after it. Actually, it felt like an oxymoron. 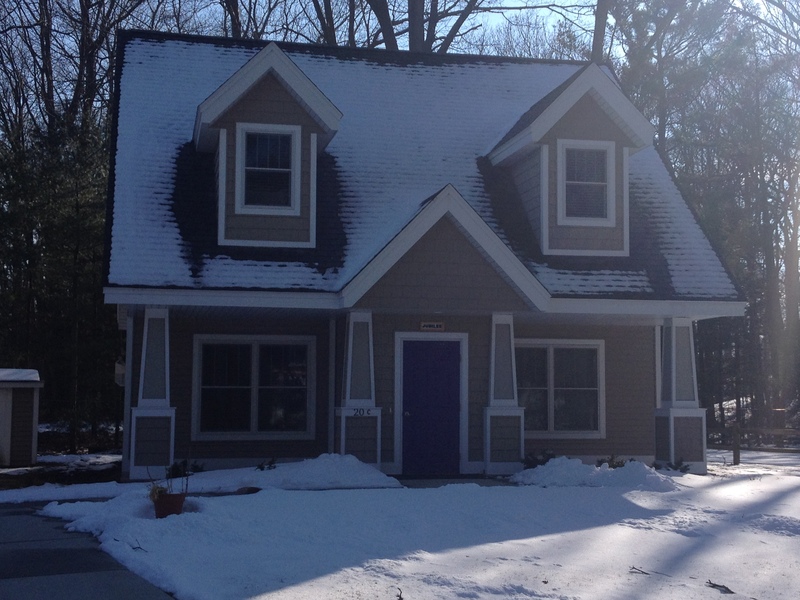 Secondly, all the other cottage names were positive and self-explanatory while this one didn’t seem to fit. Although it did need explaining, the word “friendship” didn’t help. Needless to say, none of us were impressed with what appeared to be a very insensitive and demeaning message on that cottage. In defense of the decision-makers at the camp, we didn’t know them or understand the reason behind the decision. Perhaps it was in effort to be inclusive. Perhaps there was something of significance to the name that we didn’t know. We wondered if they included the word, “friendship” after it so as “not to offend”. However, it did offend. A powerful name like “Amistad” is too full of historical pain and anguish for a lot of people. Some of us wondered how the nameplate was accepted in the first place. We chalked it up for effort through ignorance, which is probably one of the most common ways people offend. All-in-all, it left many of us feeling unsettled, disappointed, embarrassed and yes, even angry for what our African American sisters were feeling. During the retreat, a few of the women who were staying in that cottage revealed their feelings of frustration and anger about the sign. It brought deep sadness and hurt that someone would do such a thing, especially at a Christian camp. That was enough for the leaders of the retreat. They decided to call the contact person of the camp and lodge a complaint. It was received and within an hour the sign was removed. Following the retreat, a formal letter was sent to the leadership of the camp and the issue will be addressed at their next board meeting. 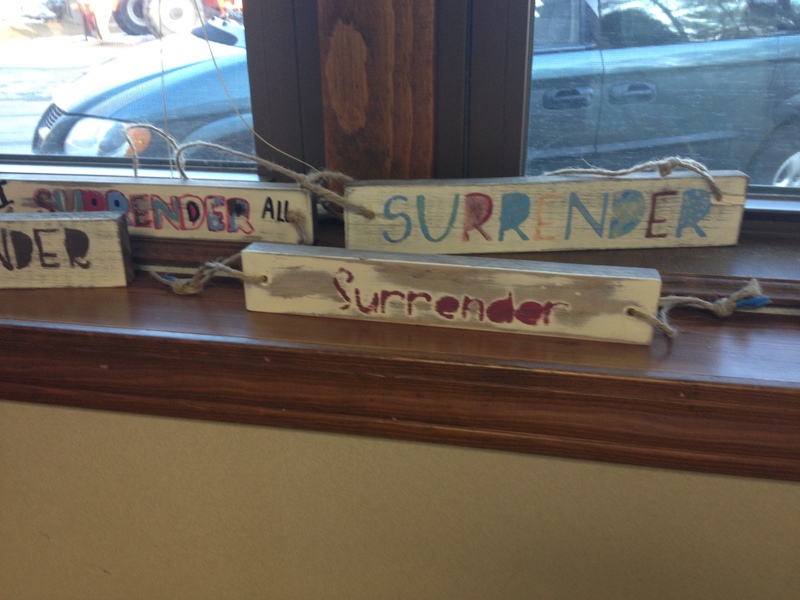 The church group is suggesting that the new name be “Surrender”. I personally think that’s a great idea!! This whole scenario played out in the hours between my second and third talk that I gave on that day. Why is that significant? First because there were various cultures and races represented at the retreat and secondly, my third talk was entitled, “He Sees Us”. 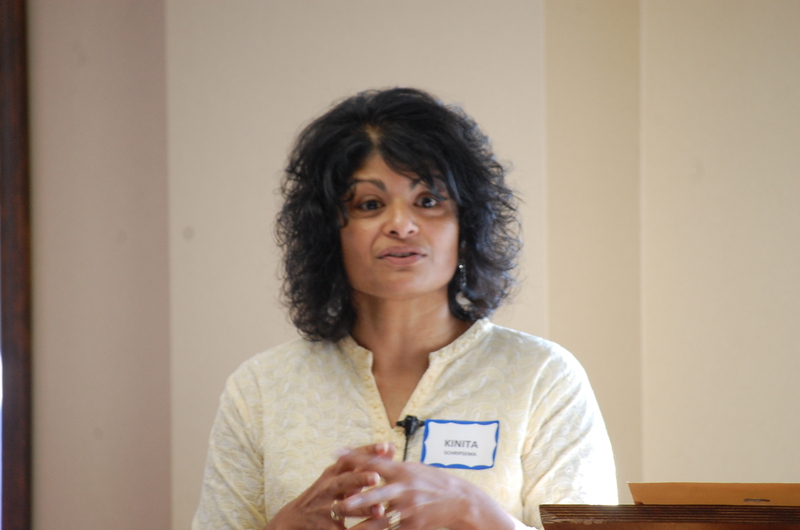 During that session, I challenged the women to consider what their “us” looked like on a personal level and for them to think about how they include other cultures and races in their personal relationships. I also challenged them to look at their “us” from a women’s ministry angle and then as a church community. How might God use them/us to stand together with the people He has put among them/us? That day and through the experience with the sign, we were not only given the opportunity to stand with our sisters of colour in what they were experiencing but we also witnessed first hand how the Holy Spirit was very present and showed us in a clear way that He saw us!! We should hurt when our brothers and sisters hurt. In this case, it happened to be around the issue of race and slavery. That is true unity in Christ. Friends, it is our Unity in Christ that binds us to each other. Unfortunately, we often allow the messages of the world, the flesh and the devil fracture that unity. Let us not take our oneness for granted or to excuse away our ignorance. Let us keep learning and growing forward with our brothers and sisters of all races and cultures. Let us not only keep the lines of communication open between each other but especially between us and God. If we do so, we will be able to hear what the Holy Spirit wants us to do to be part of the solution instead of the problem as far as the sin of racism is concerned. Let us give and receive forgiveness (for misunderstandings) freely as Christ forgave us WHILE we were still sinners (Romans 5:8). His forgiveness is available for all of us. He went to the Cross on our behalf and sent his Spirit in order that we would be drawn to Him with confession on our tongues and a receptive heart for His forgiveness. Have you been forgiven much? Then I remind myself and encourage you to share that forgiveness freely. What “sign(s)” has God put in your life to challenge your walk with Him? What circumstance(s) has God put in your life to grow a deeper intimacy with Him? Who has God brought into your “us”? How is God leading you to stand / walk beside another person to become part of the solution and not part of the problem? Or please feel free to contact me at kinitaathome@att.net.